I had planned to read this book at the start of 2016, but I never got to it. But I finally did just before the end of the year and I am very glad. I liked Shadow and Bone as much as I hoped I would. 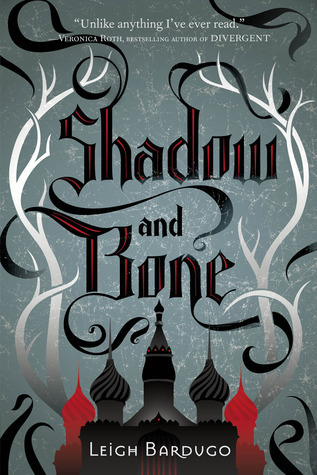 I gave Shadow and Bone by Leigh Bardugo four out of five stars, not because it was not a good read. I mean the plot was amazing! Even though I knew the Darkling was the enemy in the story, I kept wondering how. No it was just the characters that left me a bit longing for more. So it is more a four and a half stars, instead of four. The world is amazing and rich. I love it. It is so unique and it kept me interested. The end felt a bit like Harry Potter’s search for the Horcrusses, but it did not take away from the fun I had while reading it. Leigh really makes you be interested in just following the flow of the story and then turn it around completely. As you then get settled down into this stream, she throws it around again. I loved it! She did it well, because it did not give me a whiplash, which is usually the case. Alina grows from this girl that is tied at the hips with Mal into a sharp and strong individual. She feels the danger of the Darkling coming up at the end of the book, but still is incapable of defending herself in such a way that they can escape. Which I liked because the book spends a couple of months and I do not think she could have grown into this perfect woman during that time. In the beginning she can not even access her powers because she is still being blocked by her bond with Mal, which she wanted to stay with since they were small, 8 or so. Mal might be a bit too forgiving at one point in the story. But he is so glad to have his best friend back. After Alina has been taken away he does not hear from her for a long time and he then is a bit angry with her for it, even though she has written him, she says (and she did). He just forgives her a bit too fast for it to be real. But I also understand Leigh just wanted to make the story smooth and not have that be a hick-up they had trouble to recover from. The Darkling is portrayed in the be not the bad guy and in the end he turns out to be it. I found this a really great shock even though I knew this beforehand. This makes him complex and left me wondering how he could be the enemy. I just loved this story, I just wished for a bit more in depth character development from Mals part. But it does not lack in excitement or anything. I would recommend Shadow and Bone by Leigh Bardugo to everyone who wants to read something big like The Lord of the Rings or Harry Potter but not spend read a lot of books. I actually feel this book was much better than The Lord of the RIngs because that book has a lot of details I did not care for in it and without those it would be the size of any normal trilogy.